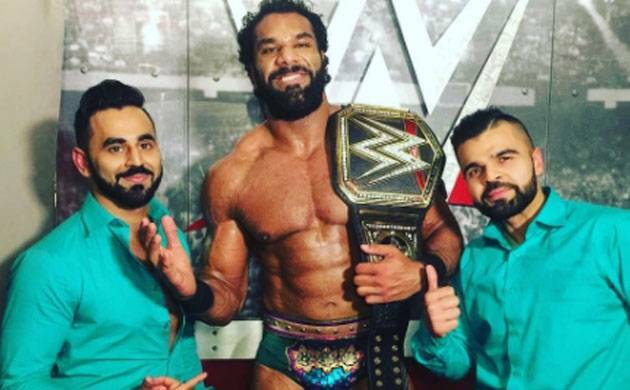 Indian-origin wrestler Jinder Mahal clinched the WWE Heavyweight Championship title 'Backlash' by beating Randy Orton on Sunday. Indian-origin wrestler Jinder Mahal clinched the WWE Heavyweight Championship title 'Backlash' by beating Randy Orton on Sunday. Mahal now has become the second Indian wrestler after 'The Great Khali' to win world heavyweight championship. Khali had won the title way back in 2007. "The Maharaja's reign has just begun," said the new WWE Champion after clinching the title. "I just want to tell the WWE universe, I told you so that the Maharaja will become the WWE champion," he said. Underdog Mahal surprised all including WWE universe and people all across the world as it was a shocker that he won against Orton, who was the favourite contender for the title. Ahead of the final match, Mahal said “I’m very proud to be representing India in the WWE. It makes me proud that I’m representing all of them on such a big scale and I hope I can become WWE Champion and make all of India proud."